The Best Way To Pack a Suitcase: Travel With Family + A Single Suitcase! 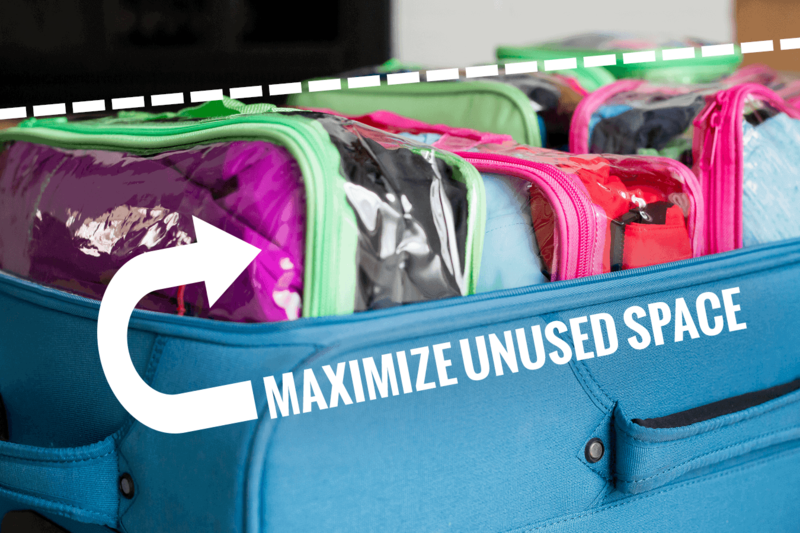 Learn the best way to pack a suitcase; how to maximize space & pack like a pro. The packing tips below will help your family consolidate down to a single suitcase! A big thanks to our affiliate EzPacking for sponsoring today’s post. The excitement is tangible. As we drive to the airport, the kids are full of energy. With all the commotion, it sounds like they’re bouncing off the walls. I look into the backseat and smile; seatbelts are holding them safely in place. I run through my mental checklist again: wallet, phone, carry-on backpack, suitcase. My husband drops us off in front of Delta, so we can check our bag while he parks the car. As I pop the suitcase handle and wheel it up to the airport, I smile. I smile because our family of four now uses a single suitcase when we go on vacation. In the past, we’ve always needed to check (and pay for!) two bags when traveling. We’ve recently changed some of our packing habits and have conveniently downsized. 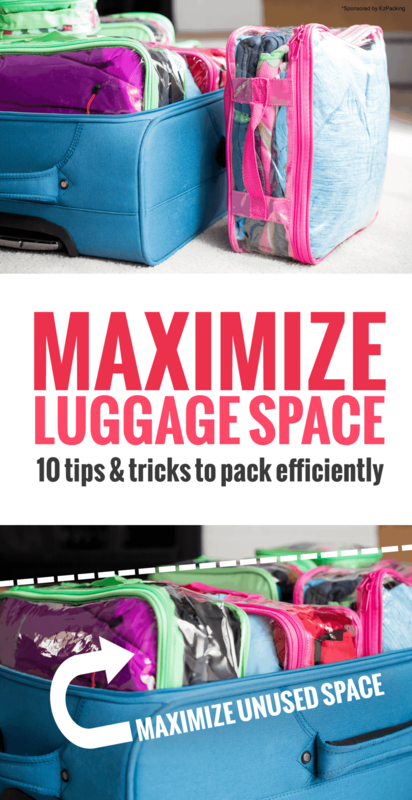 Below are ten tips on how to pack luggage and maximize space for your next adventure. 1 | Create a packing list a solid week before you travel. Creating a list well in advance gives you an opportunity to be strategic about what you take and to ensure you don’t forget anything. Use a magnet to keep the list on the fridge, so you can add items as they come to mind. Break your list down into four different sections: suitcase, carry-on backpack, and day-of essentials. 2 | Never pack more than four days of clothing. Cut your luggage in half on a long vacation with this tip. If you’re traveling for more than four days, make plans to use a local laundromat on your trip. At first it seems wrong to do laundry while traveling, but honestly, it is nice to slow down and “press pause.” Be sure to pack a book for this relaxing break. 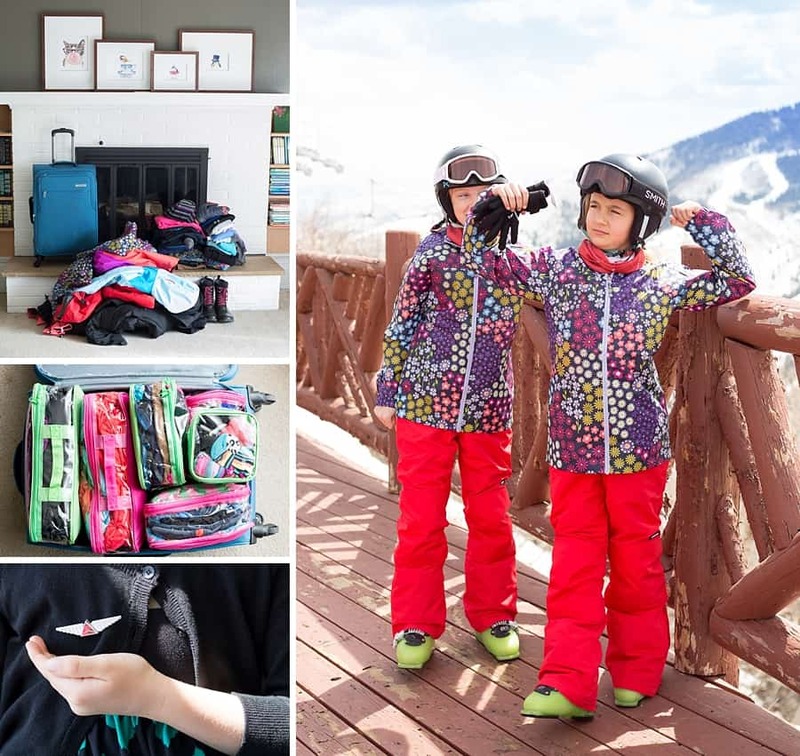 3 | Pack one outfit per day, plus a spare sweatshirt for each kiddo. Keep packing simple — have your kids set out one outfit per day. An extra sweatshirt is a great way to cover accidental spills and doubles as a jacket on cold evenings. 4 | One pair of PJs will do. When traveling, giving kids a bath before bed is an excellent way to help them relax and sleep well in an unfamiliar bed. If your kids are clean when they put on their PJs, you can get by for a few days with one pair of pajamas. 5 | Double up on undies. Have the kids pack extra underwear for the trip. It is always nice to have freshies to pop on after a swim or shower. They don’t take much space, and it is better to be safe than sorry when it comes to undies. 6 | Take the time to fold your clothes properly. Folding matters. We’ve experimented over the years with different techniques to attempt to maximize space. We’ve tried the roll and rubber band technique and a variety of other approaches. In the end, the traditional department store display-fold works best. 7 | Don’t fill your suitcase full of air. When packing items for a winter trip — like ski jackets, snow pants, and cold-weather gear — reduce excess air. You’d be surprised how flat you can pack seemingly bulky items. Take the time to flatten your gear. 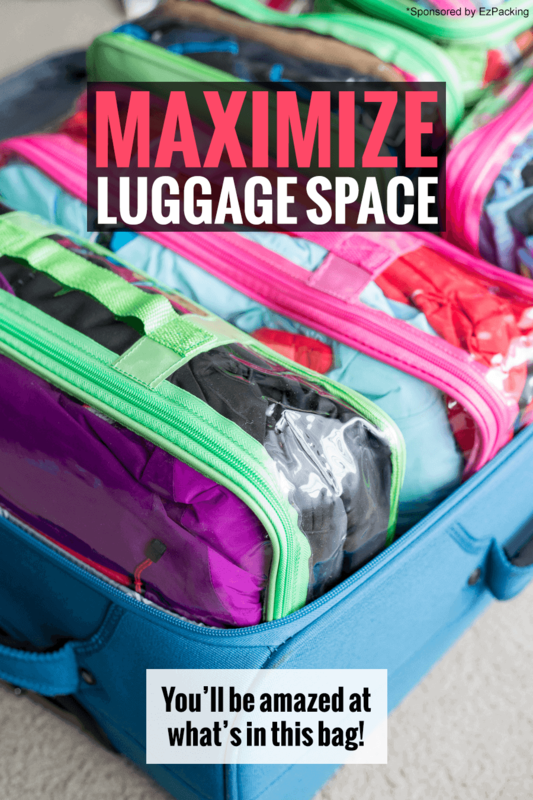 8 | Take advantage of the unused space in your suitcase with packing cubes. Discover the power of packing vertically — What now? When clothes are packed horizontally on top of each other, there is unused space in the suitcase above the zipper line. We have a set of EzPacking Cubes that allow us to pack vertically using the entire height of the suitcase to maximize space. They are AWESOME. 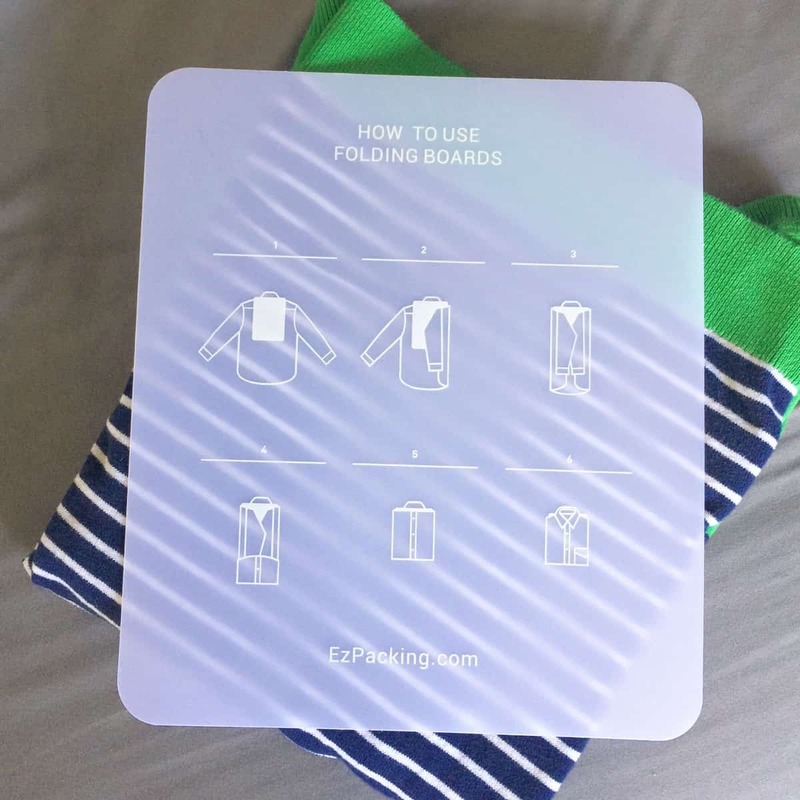 Watch me pack all of that stuff for our weekend ski trip, using the EzPacking Folding Boards and Packing Cubes, into one suitcase. 9 | Color coordination makes sharing a single suitcase simple. 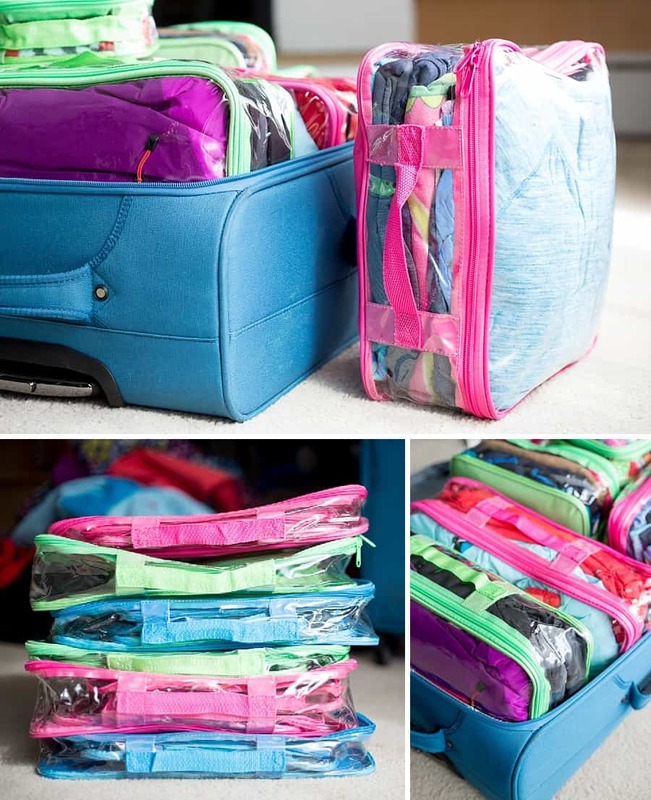 EzPacking Cubes come in different color sets, so you can mix and match (colors and sizes) to meet your families’ needs. For example, a family of four traveling for a weekend can fit one large cube and one small cube per person (in their own color) into a standard 28″ suitcase. On our recent trip, my husband and I used green cubes and our girls’ use pink making it easy to keep track of whose stuff is whose. And guess what? When the kids got their own set of EzPacking Cubes, they took ownership of folding and packing their own cubes. We folded a few shirts together, and they finished the rest of their items. Easy-peasy. 10 | Pack a dirty laundry bag. After you’ve got your clothes packed, throw a laundry bag into the suitcase (either a standard plastic garbage bag or something more sturdy). 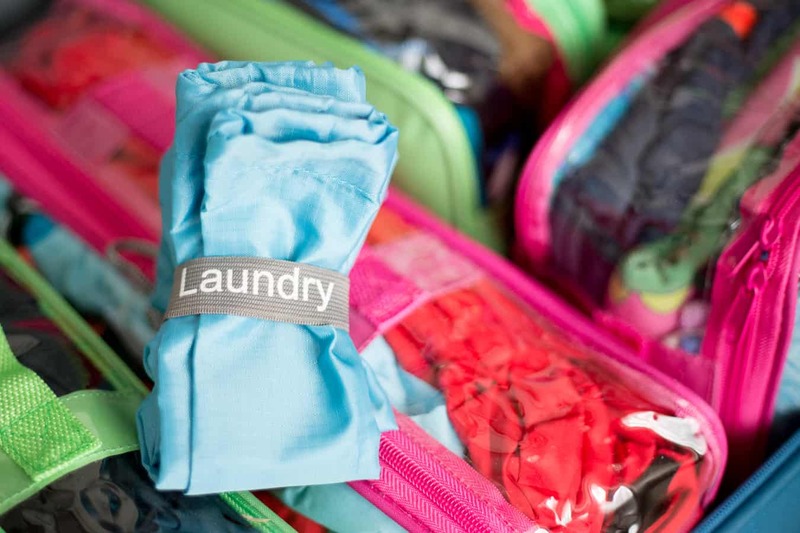 A dirty laundry bag serves a variety of purposes when you travel. First, it helps keep your hotel room clean. Instead of a random pile of dirty laundry, everything is kept nicely together. This sturdy laundry bag (which comes with the EzPacking Complete Bundle) is handy for a trip to the laundry mat during an extended vacation. On the way home, the cubes were also convenient for keeping clean clothes separated from the dirty laundry. Of course, every family adventure provides one of a kind experience and unique circumstances. What additional tricks have you been using with your family? 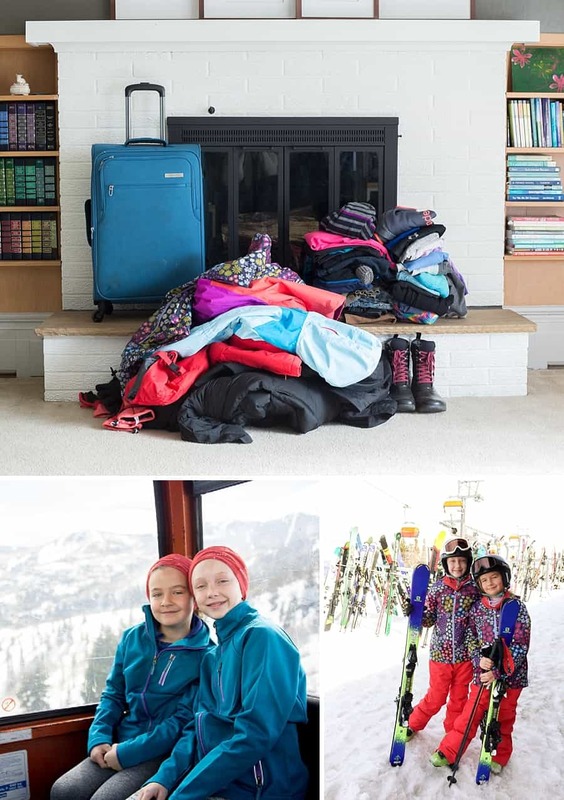 PS: A quick FYI, our family used the EzPacking Complete Bundle for our ski trip this winter. 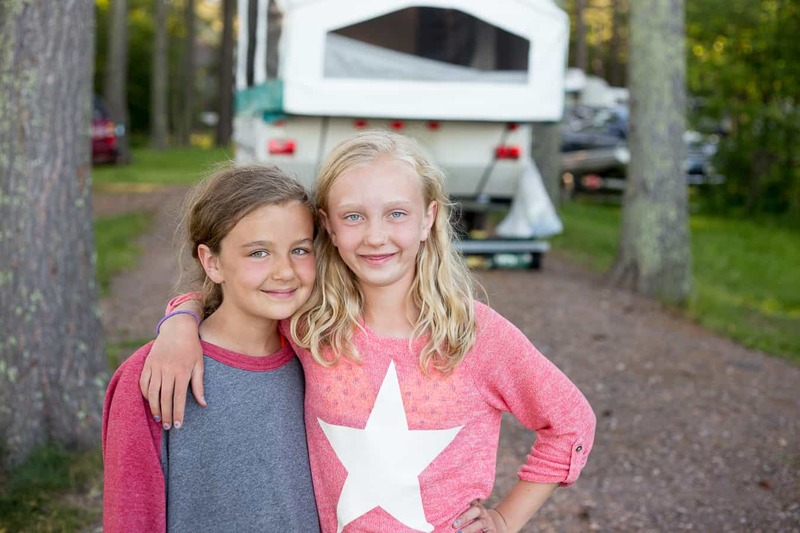 Each summer our family goes camping; we cannot wait to try our EzPacking Cubes for that journey. We’ve packed using gallon-sized Ziploc bags for camping in the past, but it ended up being more of a hassle than helpful. They’d rip or wouldn’t seal properly. 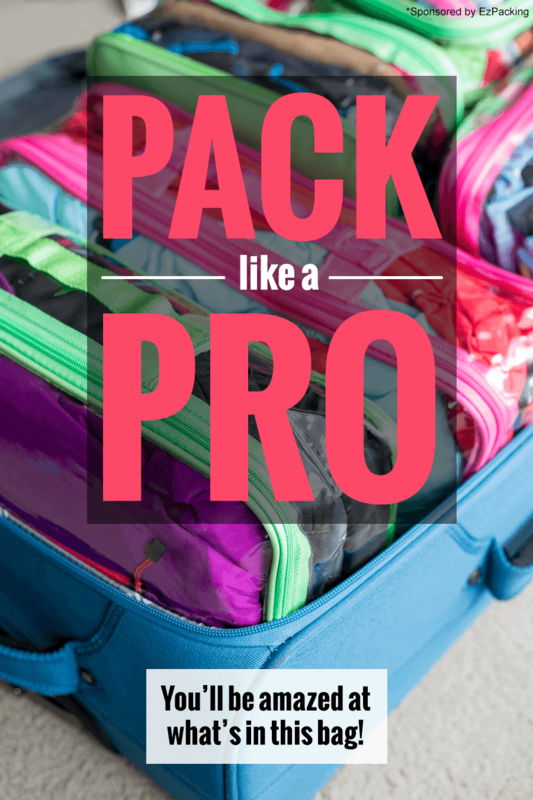 Using EzPacking Cubes were so much easier on our last trip, I cannot wait to try them again. When you’re spending a lot of time outdoors, you need to pack for a variety of weather situations. Sometimes the amount of space the gear alone takes up is overwhelming. This packing approach is going to be so helpful. If you have any questions about our family’s packing tips or the EzPacking Cubes, don’t hesitate to ask in the comments below. These look awesome! Thanks for sharing them. These are great tips! We use a version of these packing cubes, but we don’t have enough to color code them. That’s such a great idea. It would totally help when you first get to your destination and kids are screaming to go do something “right now!” that requires changing (like swimming!). Great ideas here. Thanks for sharing! In winter it is very difficult to adjust things in small bags. Your article would be really helpful, Cube idea looks great. I will try it out. Some good tips! Definitely would work for two people but might not do the trick for a family of 4. We often buy things as we travel along especially when we are traveling with kids! Nonetheless, packing cubes are a lifesaver! People automatically assume they lose space instead of realizing how much space they gain!